O.M.S. 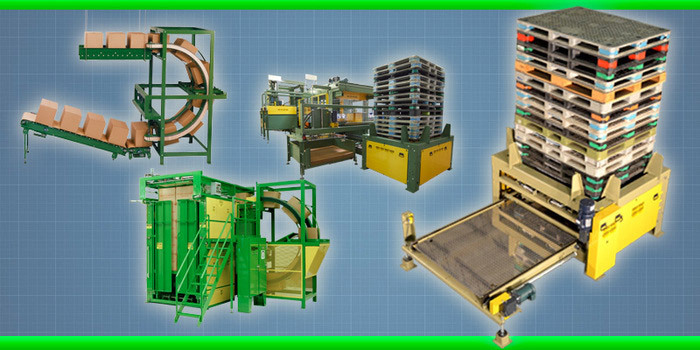 is a self-sufficient manufacturer offering a complete line of bulk, case, bag, drum and pail palletizers as well as bulk and case depalletizers ranging from semi-automatic to fully automatic. To compliment our palletizers and depalletizers, we also manufacture and supply tabletop chain and air conveyor systems to include case, bag and pallet conveyor systems to meet your specific needs while providing you with the most efficient handling of your product. O.M.S. also manufactures other product handling equipment which may be found under the “Additional Equipment” Section of this web site. The O.M.S. experienced design staff and state of the art computer aided design department gives us the ability to prepare detailed floor plan layouts and efficiently solve your most complicated product handling needs. System Integration that extends from production input materials loading stations, conveyance and packaging to product ready for shipment. Looking for a Unique Solution? The O.M.S. System offers a superior approach, forming layers & pallet loads. Rows of containers are asynchronously processed. Multi-row infeed systems are equipped with separation lane dividers to ensure efficient control. We have been a striving force in the palletizing industry since we started back in 1971. Palletizers and depalletizers, and other machinery we have developed, are our passion. We have innovated and own over 50 patents that have allowed us to increase efficiency and speed to our long line of machines. The machinery we produce here at OMS is high quality and best of all, easy to maintain. We reduce the cost of general maintenance for our clients by only using standard parts. Unlike our competitors, we do not use any proprietary parts, so there is no need to wait for deliveries from us, you can simply head to your preferred supplier. Of course, if you need parts and wish to buy high quality replacement machinery parts from us, please use the replacement parts form. If you have issues regarding design and space, contact OMS for help. Our design staff use their skills, knowledge and experience in the industry to find a bespoke solution to your requirements. Our goal is to build machines that make your company efficient and will always strive to deliver exactly what your business needs to grow. Here at O.M.S. we stand proud to the quality of our design and workmanship which goes into all of our products. We are at your service and will do our utmost to meet your needs and requirements. These are just a few of the O.M.S. granted patents. To view the entire collection, please click below. Ouellette Machinery Systems, Inc. has a long-standing tradition of achievement, which we are most proud of. We were founded in 1971, originally serving as a consultant and service provider in the beverage industry. We secured our first patent in 1974 for our “Bottle De-Capper.” Since then we have gone on to secure over 49 patents. We pride ourselves on our innovations in the fields of mechanical and electromechanical design. We enjoy being innovators in our industry and look at the challenges presented by our customers with excitement. Today our facility has grown to over 60,000 Square Feet and our team continues to tackle projects with enthusiasm. 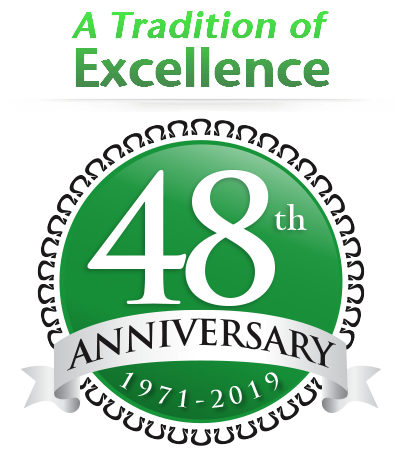 If you would like more information on the history of OMS, please click the link below to download a copy of our 44th Anniversary timeline.